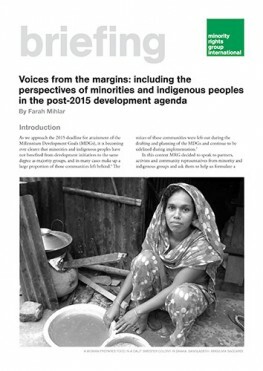 As we approach the 2015 deadline for attainment of the UN Millennium Development Goals (MDGs), it is becoming ever clearer that minorities and indigenous peoples have not benefited from development initiatives to the same degree as majority groups, and in many cases make up a large proportion of those communities left behind. The voices of these communities were left out during the drafting and planning of the MDGs and continue to be sidelined during implementation. In this context MRG decided to speak to partners, activists and community representatives from minority and indigenous groups and ask them to help us formulate a post-2015 development framework to ensure that minorities and indigenous groups benefit fairly from the international commitment to meet the MDGs. 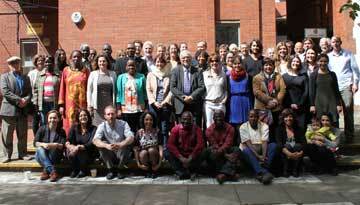 Ensure that minorities and indigenous people are included in designing and implementing the post-2015 goals. Ensure that the post-2015 goals are based on a human rights framework. Have specific measurable targets for states on antidiscrimination and human rights protection, including minority and indigenous rights. Address the underlying causes of poverty – such as discrimination and inequality. Strengthen the collection of disaggregated data on ethnicity, religion, language, gender, caste and indigenous identity.